This Johnson JG-624N is a dreadnought style guitar which is clearly superior to most inexpensive entry level instruments, with great playability, a bright, resonant sound, and a striking appearance. It has a very light natural finish spruce top, dramatic dark laminate back and sides, and a nato neck. It has a black pick guard, multiple bwbwb stripes at the rosette, inlaid black body binding top and back, and a 14/20-fret rosewood fingerboard with white dot inlay. The bridge also appears to be rosewood with white black-dot pegs, and the dark headstock is set off by the chrome enclosed tuners. Although it has a few small dings and scratches which would not really show up in my pictures, it is in very good condition; as I hope the pictures demonstrate, this is a sharp-looking instrument. And best of all for you lefties, it made, strung, and set up specifically for you! No more upside-down or unnatural positions just to make some music! Buyer pays a flat rate of $45 for shipping to the lower 48 states; shipping costs elsewhere will be negotiated as necessary. Payment by Paypal is preferred; cashier’s checks are acceptable, but checks must clear before the guitar will be shipped. I have tried to be perfectly clear and accurate in describing this instrument, so its return will not be accepted unless it can be shown that it was egregiously misrepresented in this listing. Please check out the pictures and ask any questions you might have before offering to buy it. 24/7 by e-mail: akmgj@bellsouth.net. I'm old; I don't sleep much. Payments by Paypal, cashier’s checks, money orders, or personal checks are acceptable, but all payments must clear my bank before the guitar will be shipped. I will CONSIDER reasonable offers, even including installment payments and trade-ins, but generally since I already attempt to price my guitars very competitively, unusual deals must be unusually sweet. From henceforth [that's how retired English teachers talk], insurance and shipping to the lower 48 states is $55 due to constantly rising shipping costs unless a specific listing says otherwise; shipping costs elsewhere will be negotiated as necessary. 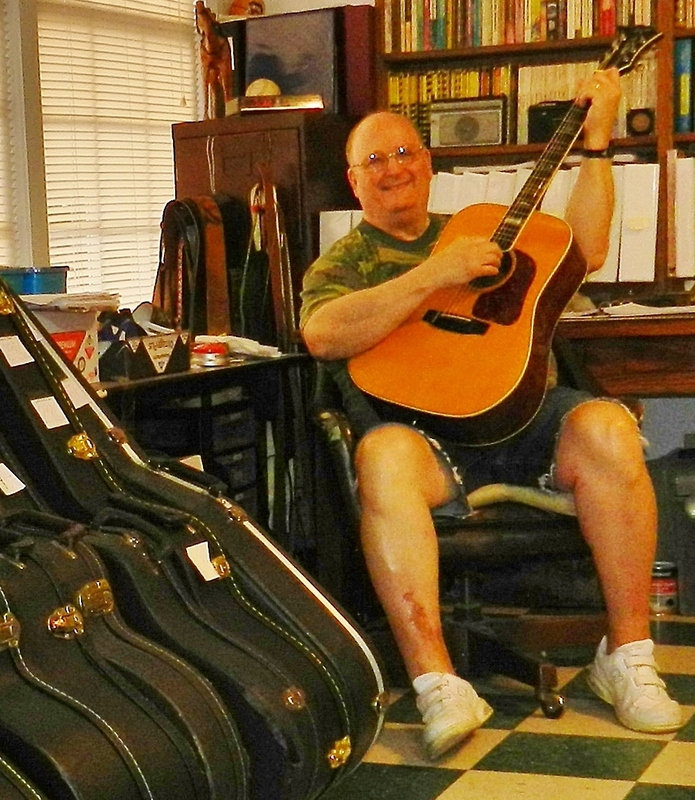 I have sold guitars to Russia, Japan, Australia, and over 50 other countries, as well as almost every state in the USA. Since some of my guitars travel thousands of miles, I take care to use lots of packing materials, protect the neck inside the case, and of course de-tune the strings. I make every effort to describe and illustrate each guitar and case with scrupulous accuracy. However, many of my instruments are well-played vintage items which are many years old, and I am not a luthier. One should assume that any guitar will require some set-up to satisfy your personal requirements, and that not every flaw or ding will be seen/recognized/described in the listing. Thus the return of an instrument will not be accepted unless it can be shown that it was egregiously misrepresented in this listing. Please read the listing carefully, check out the pictures, and ask any questions you might have before offering to buy.